If you have not noticed yet, the in thing is using an item that was popular several years ago, as is the case with retro reading glasses. This type of eyewear was common around the 1930s and its fame started fading as people sought more innovative designs through the years. 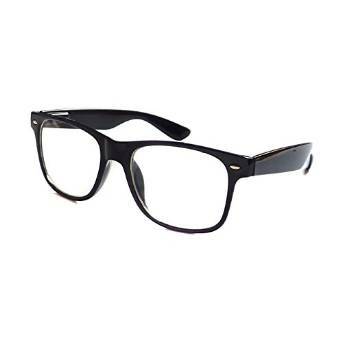 Mahatma Gandhi is one of the renowned figures who wore the rounded framed that is gaining a number of wearers today. However, recently, these spectacles have received massive acclaim from the young and the old, male and female, professionals to students and doctors. The designs on the stands are varied and they accommodate different facial features, skin tones and budgets. When choosing this type of eye wear, a person should look at the type of frame, gender they fit, color, strength of the lens and the cost. 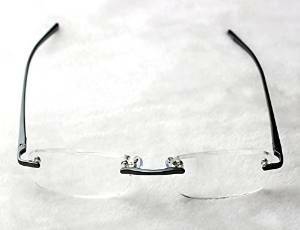 Some of these spectacles have a thick frame while others are rimless or thin framed. 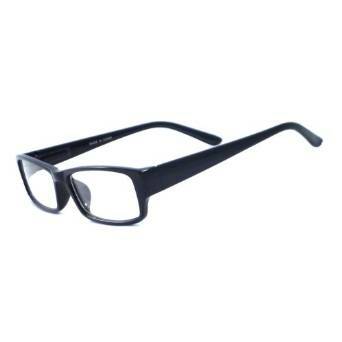 Depending with the overall effect a person expects by wearing these spectacles, the choice should be based on the design that works well with the facial features. For instance, a person with a round face would not be favored by the round lenses. The thick rimmed ones would not work well with a person whose nose is very striking and takes dominance on the face. He or she would be better suited by the rimless ones because they will not draw or compete for attention with the nose. The main colors available are black, dark tortoise, matte silver and a combination of two colors. The working environment should matter when choosing the color because some may be too flashy for the office. 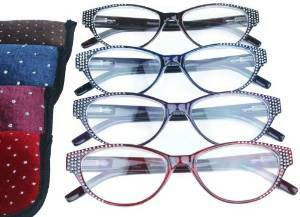 One of the retro reading glasses is the Revue Retro 111, which is full rimmed and has nose pads a person can adjust. It is designed for men and the frame is light to provide the comfort needed around the nose bridge and the temples. This pewter gold coated piece has a double bridge that increases the support for the man and it will cost him about $59. In addition, a person can opt or the unisex eye wear, Revue Retro FF2, whose lenses adopt a shape that is more rounded than oval. It is a full rimmed piece that resembles the nerdy spectacles that were most popular with the high school lads because of the thick frame. This plastic frame is colored Havana and it has straight temples in the same color. Children can also take up this look for their spectacles with the Flower child retro that retails for about $23. The design incorporates several colors with eye rims of green and red colors while the temples are painted blue with white tips. The quality is not compromised because it has spring hinges to ensure that the piece does not break after a short while and the lens is aspheric meaning that the person gets a bigger optical vision just like any modern pair of spectacles. Instead of wondering how you can take some of the items you love from the past into the present, you can start with a pair of retro reading glasses.